The long-awaited, highly anticipated companion volume to The Princess Bitchface Syndrome – the must-have manual for all parents of teenage boys. Dr Michael Carr-Gregg believes that too many Australian boys have got it too easy – and the result is a generation of ‘boofheads’: boys with huge egos who think they are too good to stack the dishwasher or turn up to school. They expect the world and give little in return. But things are about to change. 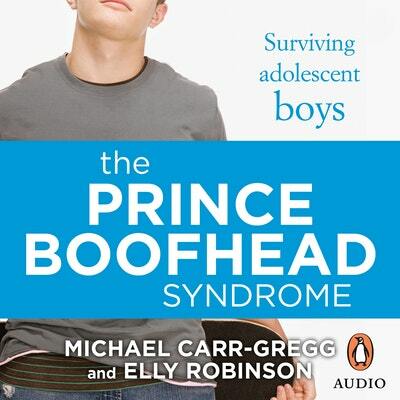 From the author of the groundbreaking Australian bestseller The Princess Bitchface Syndrome and researcher Elly Robinson comes this essential companion book for boys. It serves as both a warning and a rescue manual for all desperate parents – why have some boys today become such egotistical and lazy creatures, what can you do to prevent it, and how do you deal with the situation if you’re caught up in the crisis? Tips for parent–boofhead negotiations, and what to do when they break down. Hints, tips, dos and don’ts for human parents. 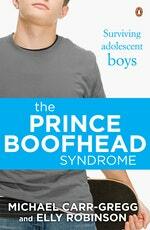 Love The Prince Boofhead Syndrome? Subscribe to Read More to find out about similar books.